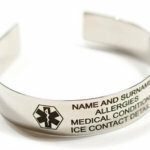 A New, Exciting, Fresh & Funky Pinstripe was added to the very popular Elite ICE Band wristband with a Curved Plate and 2 Jaw clasp. 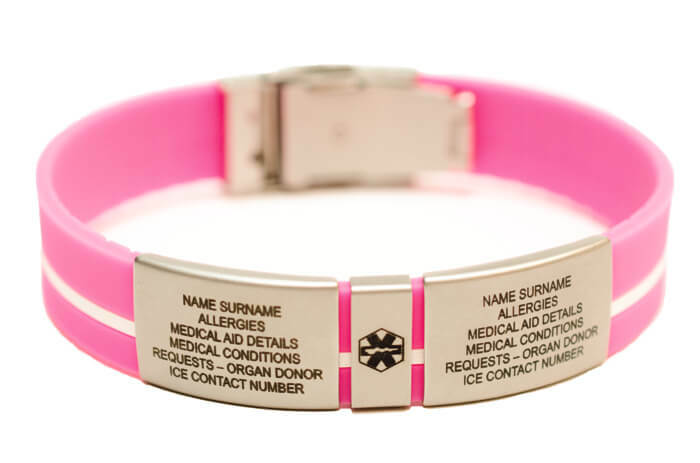 The Info Plate can take up to 6 lines of Emergency Identification Information which is Professionally Laser Engraved to the finest detail, and will not rub off, or discolour ensuring durability in normal wearing circumstances. 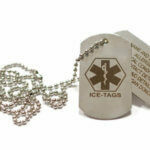 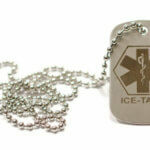 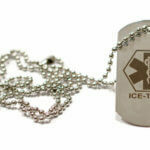 Medical Information is extremely effective In Case of Emergency! 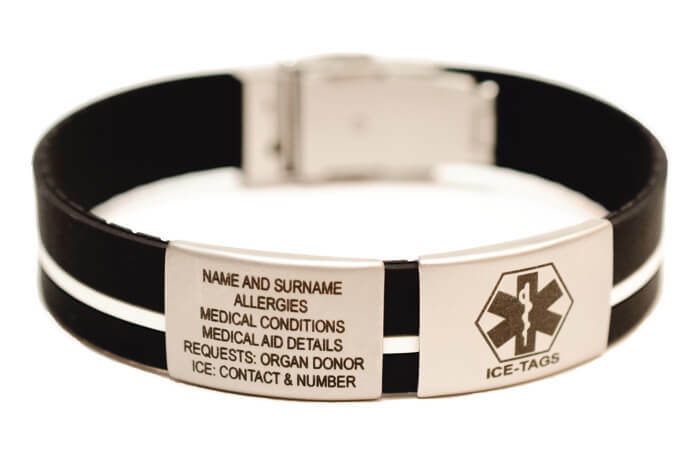 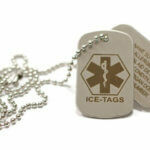 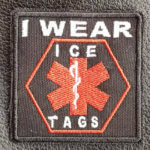 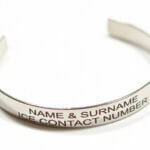 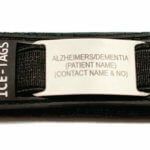 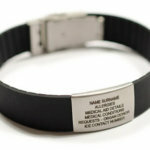 You have the option of adding a second ID Plate on the Elite ICE Band Pinstripe, that has the Internationally Recognised Medical Logo engraved on, or with more Emergency Identification Information on. 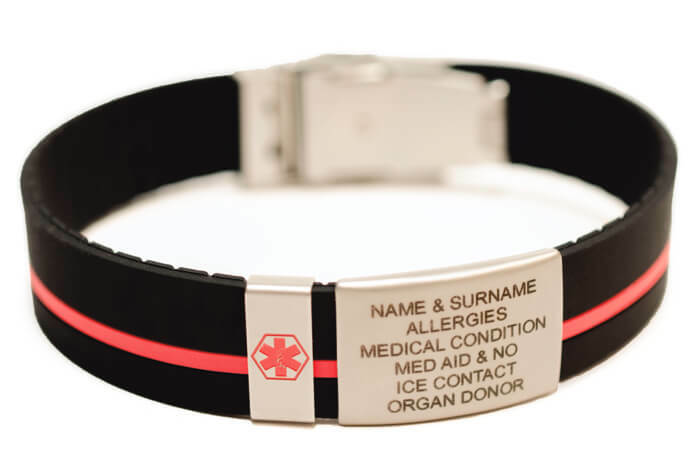 Please keep in mind that if you do choose a second Plate with the Medical Logo Engraved, no Emergency Identification Information can be added due to space restrictions. 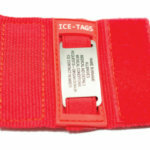 As another optional extra, why not look at adding a unique badge that fits nicely over the Elite ICE Band with 2 Jaw Clasp to add that extra factor to identify the wristband as a Medical Wristband – if you select the Medical Logo in Red (we are not able to guarantee that the red acrylic paint will remain intact under normal wear and tear circumstances, within reason) or Black. 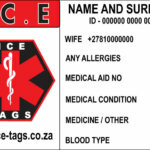 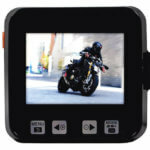 You also have the option of adding Text such as MEDICAL on the blank badge or should you wish to add a little something extra like an image of a Bicycle or Motorbike for the Adventurer or an image of something that it true and dear to you such as a Heart, Star or Dolphin for example. 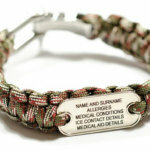 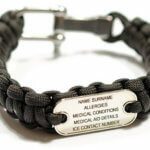 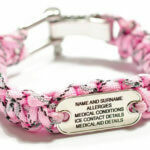 The Silicone band only (excluding the 2 Jaw Clasp) is 23.5cm in length and is cut to size to fit the wearer. 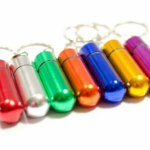 Please note that there may slight colour differentiation between the product and photo. 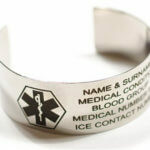 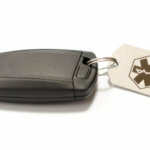 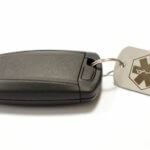 You can have 1 ID Plate with 1 to 6 lines of information on and a second plate with a Medical Logo engraved on OR we can engrave a small medical logo on the one plate and you can have 3 lines of information engraved on the same ID Plate. 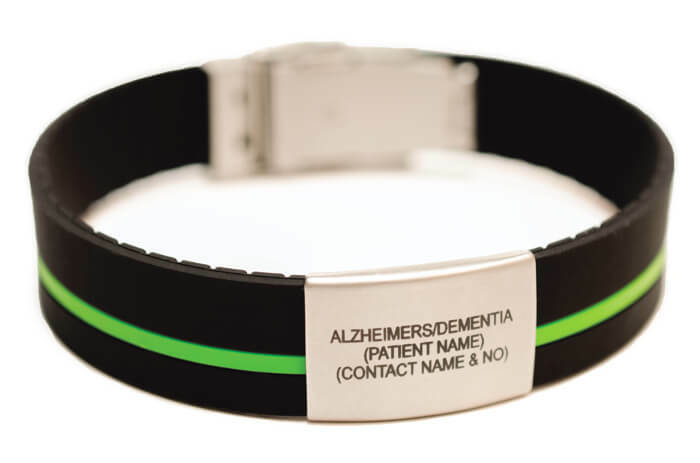 The silicone bands on both the Silicone Wristband with 2 Jaw Clasp and the Slim Dual Colour bands come as one size and once received you measure and cut the bands to size. 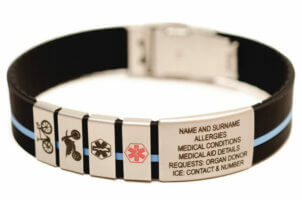 Care must be taken to not cut the bands too short, once they have been cut and a mistake is made a new band will need to be purchased – replacement parts are available.